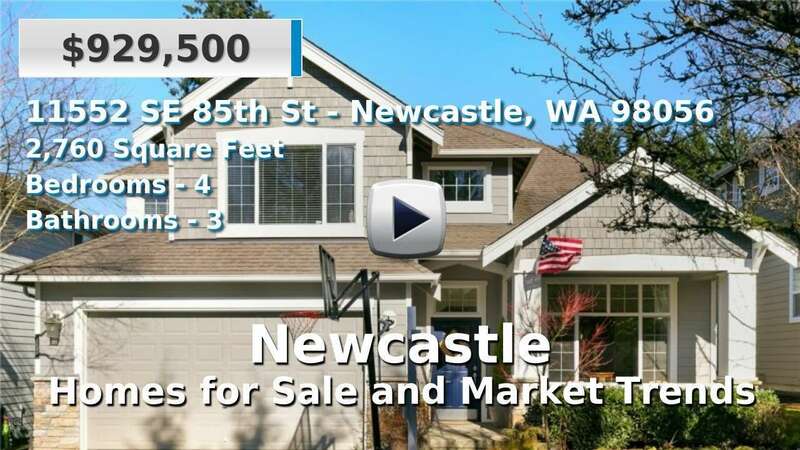 Newcastle is a small city of about 10,500 people on the eastside of Lake Washington. It is a part of King County in western Washington; neighbors include Seattle, Bellevue, Mercer Island, and Issaquah. An average commute here is just 24 minutes. It may be a city, but Newcastle has been voted one of the “best small towns in America”. It is known for its rich history in the coal mining industry, which is celebrated every year at the Newcastle Days festival, and has several parks, trails, and golf courses nearby. The city itself borders Cougar Mountain Regional Wildland Park. Homes and condos for sale here here enjoy a little more space than in the city, but it is mostly urban with a small town feel. 4 Beds | 2.75 Baths | 2085 sq. Ft.
3 Beds | 3.25 Baths | 2027 sq. Ft.
3 Beds | 2.5 Baths | 1391 sq. Ft.
4 Beds | 2.5 Baths | 2330 sq. Ft.
4 Beds | 3.25 Baths | 3590 sq. Ft.
4 Beds | 3.5 Baths | 4005 sq. Ft.
4 Beds | 3 Baths | 3110 sq. Ft.
4 Beds | 2.75 Baths | 3660 sq. Ft.
4 Beds | 3.75 Baths | 4068 sq. Ft.
4 Beds | 4 Baths | 4080 sq. Ft.
3 Beds | 2 Baths | 1940 sq. Ft.
4 Beds | 3.5 Baths | 4363 sq. Ft.
2 Beds | 2 Baths | 1029 sq. Ft.
4 Beds | 3 Baths | 2250 sq. Ft.
4 Beds | 3.75 Baths | 3580 sq. Ft.
4 Beds | 2.5 Baths | 2300 sq. Ft.
4 Beds | 3.5 Baths | 4020 sq. Ft.
5 Beds | 3 Baths | 3080 sq. Ft.